"We consider the long term impacts of every part of the design and construction process in order to ensure a healthy and sustainable lifestyle for our customers." We offer design, coaching and consulting, project managment, construction, interior design and landscpae design services to those interested in creating sustainable shelters. Whether your project is local or on the other side of the continent we have expertise that can help you achieve your sustainable shelter objectives. We also offer design, coaching and consulting services to those interested in retro fitting or creating sustainable shelters. We may not have any crystal balls but we will have some bright ideas for you. From mentoring to project management, from construction to decor, we can help you make it happen by providing the right advice and guidance for each step of your project. We are passionate about providing you with sustainable solutions. Our Design Service for eco shelters provide the conceptual foundation of every project. Our designers are experienced with eco building design considerations and are focused on designing high performance eco structures. Effective planning and design can not only create a more comfortable and convenient space to live in but can save a great deal of time and money in the creation and operation of your eco building. Green Construction - We have a specialised green constuction crew that are experianced with eco construction projects and who's priority is to craft a high qualiity building while maintaining the healthy and environmental integredy of the project. Interior Design is a large part of creating and healthy and sustainable home. 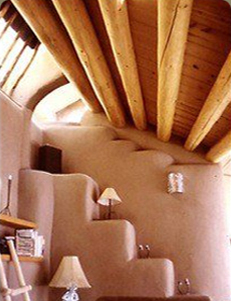 The sustainable Interior Design uses products and materials that are eco friendly and healthier to have in your home. Our designer not only helps you to craft your interiors but also helps you select products that minimize your health risks and optimise your well being. Eco Landscape Design is also part of creating a healthy and attractive and productive environment for your family. 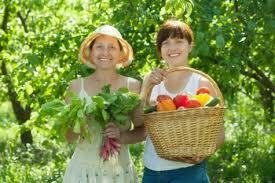 Our Eco Landscape Designs add to your families food security and are environmentally conscious. By incorporating contemporary permaculture principals our designers create edible forest landscapes that are both attractive and provide additional organic food crops for your family. Retro Fits - If you want to green your exsiting home we can help. 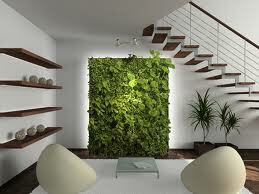 We can retro fit a variety of green technology to improve the effeciency, health and ecology of your present dwelling. 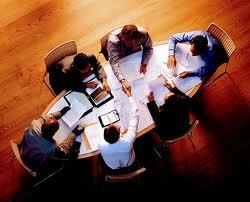 Staging - Natural Buildings design team also offer services for those who are preparing to sell or rent thier home. Our staging team can help you move your home faster and increase your bottom line. Our Eco services include design, coaching and consulting, project managment, construction, interior design and landscpae design services. 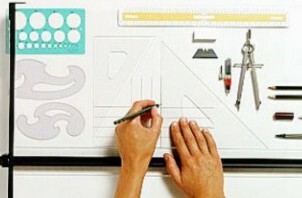 Simply contact our office to make an an appointment with one of our sustainable construction designers or consultants. We can help you craft your path to a healthy and sustainable home. We Design and Build Zero Footprint Shelters that heat and cool themselves, collect thier own water, grow your food and even process waste. The ultimate self sufficient home that has almost no carbon footprint. that come from our natural world.